I have been using a milk frother for years-I make my own lattes in the morning, and I never quite got the hang of using the frother on the machine, so I bought an aerolatte frother from our local Habitat store. 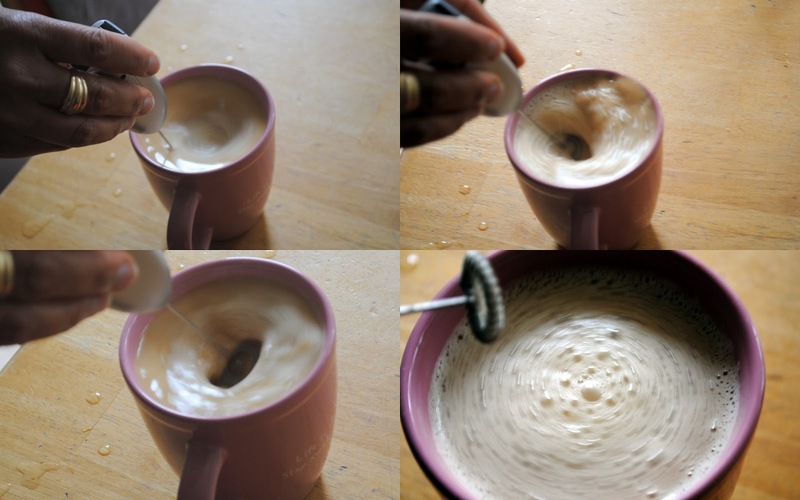 I LOVE it, and it does froth warm milk very well! Maureen, that’s weird the Aerolatte frother looks just like the one I have (the IKEA one). Maybe you had a different model? I hadn’t thought of using the little frother for mixing in coconut oil and cream into coffee. I’ve used it to froth cocoa and make Matcha tea. And fat is great. Better than dumping tons of sugar on your coffee. I can’t get batteries in either.